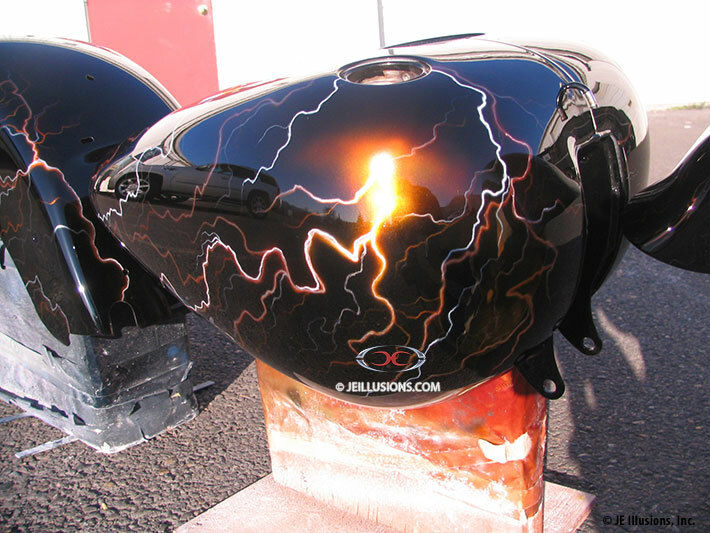 Multi-colored lightning bolts flare up all over on this paint job. 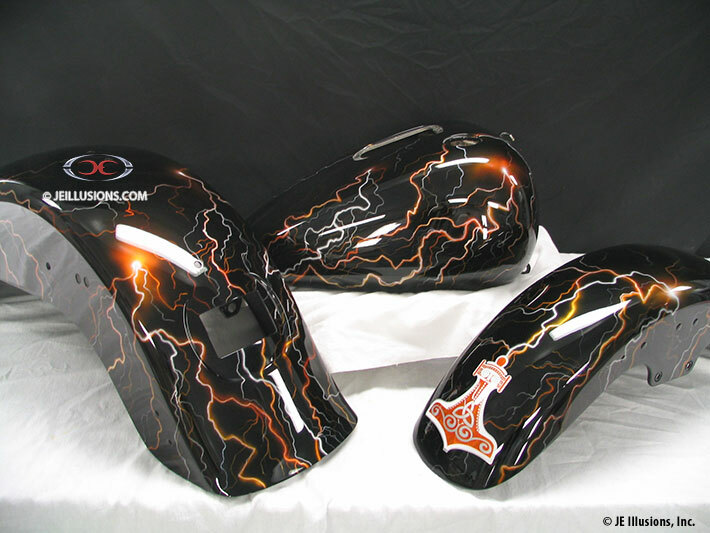 Air brushed lightning bolts in hues of bright Yellow, Orange and White seem to emanate from bright Orange/Yellow bursts located in several places. 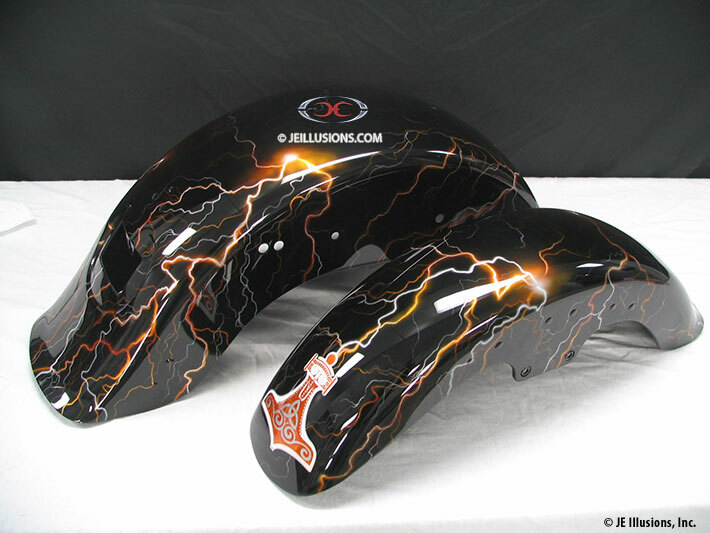 An added Aztec style design, with air brushed flame effects on the inside and pin-striped Silver trim sits on the front fender. 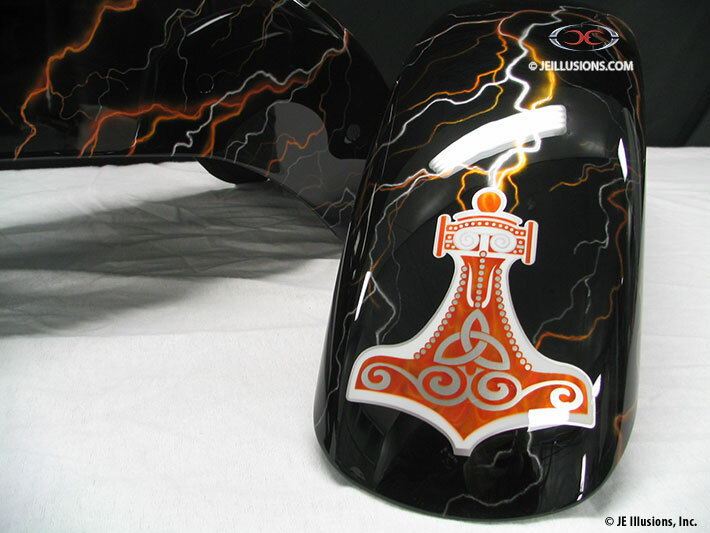 All of this is on top of a ultra-gloss Jet Black base.